Home / Amazon Shopping Festival / This Smartphone Is Not Just Crazy Fast And Smart, But Also A Trendsetter! This Smartphone Is Not Just Crazy Fast And Smart, But Also A Trendsetter! Nuh uh. I am not referring to the Alice Walker novel. I’m talking about how the colour purple was selected, nay, elected the colour of the year 2018! One look around and you would notice people rocking the ultraviolet shade in shirts, pants, earrings and bags around you the past few months. And if you missed the ultraviolet-wagon, it’s never too late to hop on! Because this year, things are ready to move a step further with Purple making its way to your favourite smartphone too! Honor Play has been launched in its Ultraviolet colour variant which is available in 4GB+64GB exclusively on Amazon at a starting price of Rs. 18,999 at Amazon Great India Sale! Now, of course, I know it’s trendy purple body isn’t the only reason why you would buy the phone. But even if you do choose to buy it blindly for the colour, you would not be disappointed, because this phone is the best you could get! Crazy Fast and Crazy Smart! Say goodbye to the most unsavoury times in your life- your phone lagging and freezing in between a game! Thanks to the phone’s triset of Kirin 970 AI chipset, GPU Turbo and EMUI 8.2 based on Android 8.1, you will experience smoother, more comfortable, jitter-free app-switching and heavy-game playing at all times! The Kirin 970 chipset with the AI Neural processing unit makes all AI smart applications on the phone run exceptionally fast as compared to other phones. The phone’s flagship processor is available in two configurations – 4GB and 6GB – giving it promising, powerful multitasking capabilities while being battery efficient. Imagine playing your favourite game on your phone for hours at length and still having battery left! Heavy usage or not, your phone will surprise you with Fast Charge as well. If you’re a gamer, this phone would be your partner-in-crime for life! Enjoy a totally immersive experience, if you’re a gamer with this phone. The Kirin 970 Chipset enables a wide variety of smart features. The AI-enabled phone recognizes the gaming scenario of team battles, the use of special skills, switching and shooting guns, etc. and intelligently match a vibration feedback like using a game console, giving you a 4D gaming experience with Smart Shock. The phone also brings an amazing 3D sound effect like you are actually in the game. And if you’re someone who loves to capture memories, Honor Play will keep you happy! If you don’t know the S of shutter speed, fret not. This phone’s smart camera has got you covered with it all! The smartphone has been equipped with a dual-camera setup on the rear panel comprising a 16-megapixel shooter backed by 2-megapixel secondary snapper, which comes with features such as an LED flash, EIS, and AIS. The AI-enabled camera identifies 22 different categories and 500 more scenarios in real-time. 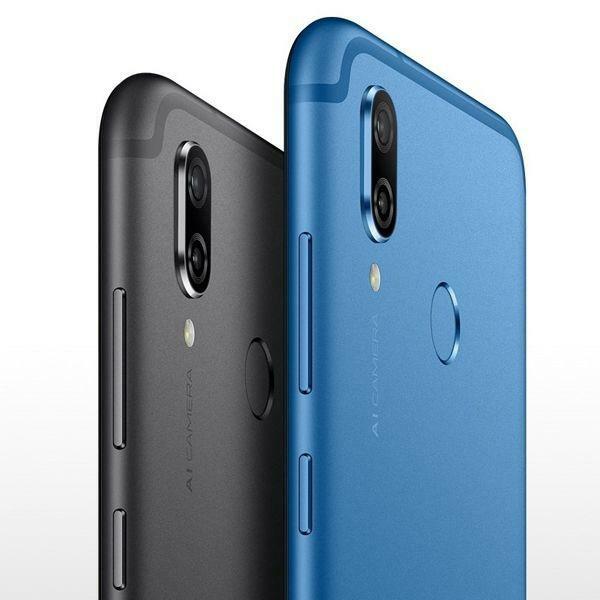 For selfies and video calling, you get a 16-megapixel shooter on the front of the Honor Play, which comes loaded with more AI-enabled features like AI Portrait and 3D portrait lighting. The camera is capable of capturing detailed photos, even in the middling light. The brand has also integrated AI features in the Gallery App, which segregates your images according to the time of capture, location, holiday and occasions, among others. The gallery intelligently identifies the characters and scenes in your photos and creates a tag for each group. This makes it easier to search for photos using keywords! And all your information will be safe. Honor Play comes with a 360-Degree ultra-fast face unlock system. The AI feature helps the smartphone detect different lightings and minute facial changes to accurately unlock your smartphone, so no worries about not being able to unlock the phone in dark spaces! The phone displays notifications on the lock screen only when the user’s face has been recognised. You’ll love it if you’re a shopaholic! You know how there are times you like something online, but don’t know where to find it to buy it? Honor Play helps you with that with its AI shopping feature. The NPU is automatically able to detect the object and search for a similar item or its alternate options. Netflix and chill would be better on the go! The phone has a 6.3-inch FHD+ IPS LCD panel with excellent view angles that dazzle the eyes. It has a screen resolution of 2340×1080 pixels. The phone is long and relatively narrow with an aspect ratio of 19.5:9, which makes handling it easier. It also features a cut-out on top that houses an earpiece, front shooter and other sensors. Considering the fact that the panel is quite large, it makes for a great experience while watching movies or playing games. The phone is also available in Midnight Black and Navy Blue variants and will set you back by Rs 19,999. Adding a cherry on the cake, the 4+64GB variant of the recently launched all-rounder Honor Play will be available at an attractive price of Rs 18,999 and the 6+64GB variant will be available at an exchange offer of Rs 2000 during the Amazon Great India Sale. Non-Prime Amazon members can avail these offers from October 10 till October 15 . The 4+64GB variant of Honor Play will also be available at Amazon Pay Rs 1000 cashback only for Amazon Prime Members who will have an early access to these offers starting October 9 from 12 noon onwards. The 4+64GB variant of Honor Play will be available at INR 18,999 and the 6+64GB variant will be available at a discounted price of Rs 21,999 on Honor Store. The phone has a good screen, good battery life, a good camera, and gives a really great gaming experience. If you’re obsessed with frame rates, then it could be the phone for you!